One of the most influential names in independent cinema in Bollywood, Abhay Deol belongs to a rare group of actors who achieved mainstream success through offbeat movies. An acting career that began with the Imtiaz Ali rom-com Socha Na Tha (2005) has since flourished through a number of brilliant performances in path-breaking movies, among which are Manorama Six Feet Under (2007), Oye Lucky! Lucky Oye! (2008), Dev.D (2009), Road, Movie (2010) and Shanghai (2012). But the versatile actor's repertoire is not just restricted to parallel cinema or indie movies or a particular genre, and he has been equally compelling in movies like Zindagi Na Milegi Dobara (2011) and Raanjhanaa (2013). In addition to acting, Abhay also owns a production company named Forbidden Films, which was founded in 2009. Born in Chandigarh, Punjab into a Jat Sikh family to producer and director Ajit Singh Deol, and Usha Deol, Abhay is the nephew of the celebrated actor Dharmendra. He is the first cousin of Sunny, Bobby, Esha and Ahana Deol. He completed his graduation from Mumbai University and was actively involved with theater groups since his childhood. Before venturing into the world of entertainment, Abhay headed to Los Angeles to study Fine Arts and also did a two-year course in acting. Abhay Deol was reportedly in a relationship with model-turned-actress Preeti Desai. The couple had been living in together since 2011 and had never shied away from openly accepting their relationship. However, they parted ways in 2015 for reasons unknown. Popular director Imtiaz Ali launched Abhay Deol in his maiden directorial film Socha Na Tha opposite Ayesha Takia in 2005. Produced by his uncle Dharmendra, the film received a mixed response at the box office. In 2007, he starred in Honeymoon Travels Pvt Ltd with an ensemble cast which included Minissha Lamba, Amisha Patel, Boman Irani, Shabana Azmi, Raima Sen, Diya Mirza and Ranveer Shorey. 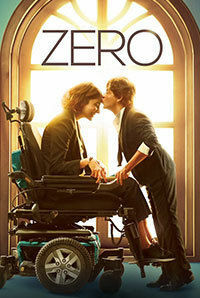 Directed by Reema Kagti, the movie fared well critically and commercially. His subsequent release Manorama Six Feet Under was a thriller film with Raima Sen and Gul Panag. The film didn't do well commercially but was a critical success. In 2008, he played the leading role in Dibakar Banerjee's Oye Lucky Lucky Oye. This Bollywood black comedy film was inspired by Devinder Singh alias Bunty, a real-life "super-chor", originally from Vikaspuri, Delhi. Abhay then played the titular role in Dev D, a modern-day take on Sarat Chandra Chattopadhyay's classic Bengali novel Devdas. Directed by Anurag Kashyap, Dev. D garnered widespread acclaim for its unique style of storytelling. Along with Abhay Deol, the film also starred Mahie Gill and Kalki Koechlin in lead roles. In 2011, Abhay starred in the runaway hit Zindagi Na Milegi Dobara, co-starring Hrithik Roshan, Farhan Akhtar, Katrina Kaif and Kalki Koechlin. Abhay played the role of Kabir, an architect who along with his friends sets off on a trip to Spain. In 2012 and 2013, Abhay Deol starred in Shanghai and Raanjhana respectively. Both the movies opened to positive reviews and his performances were praised by the critics and the audience alike. In 2014, Abhay produced and starred in the romantic comedy One by Two, which proved to be a disappointment both critically and commercially. However, the actor registered a strong comeback in 2016 with the well-received romantic comedy Happy Bhag Jayegi, where he starred alongside Diana Penty. 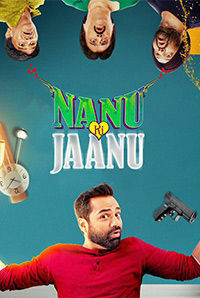 In 2018, Abhay starred in the romantic comedy Nanu Ki Jaanu, which was based on the Tamil gothic horror movie Pisaasu (2014). The film received mixed to positive review upon its release. In the same year, the actor appeared in a cameo in the Shah Rukh Khan starrer Zero (2018), which was directed by Aanand L. Rai. Among Abhay's other recent projects are the crime drama Line of Descent (2019) and the Kollywood fantasy movie Idhu Vedhalam Sollum Kathai (2019). Everyone at home calls Abhay Deol Dimpy because of his dimples. Abhay Deol learned the Israeli martial art Krav Maga for his film Basra. Abhay Deol narrated the story of Dev.D to Anurag Kashyap at a party way before he took up acting as a career. While his brilliant acting and immaculate choice of movies have endeared him to the audience, not many know of Abhay Deol the screenwriter. According to the actor, he has been involved in fleshing out many of his characters on paper; a process he began with Dev D (2009). Abhay's father Ajit Singh Deol was also an actor, and went by the screen name Kanwar Ajit Singh. Owns a production company named Forbidden Films, which was founded in 2009. The war of words between Sonam Kapoor, veteran actor Anil Kapoor, and Abhay Deol was much publicized by the media. Soon after the release of Sonam Kapoor's home production Aisha, Abhay Deol declared his dissatisfaction over the huge amount of money spent on Sonam's styling. Abhay blamed that not much importance was given to the film's plot and characterization and this solely was the reason for the film's failure. Then Anil Kapoor on being asked about Abhay Deol on Karan Johar's chat show said, "He seriously needs help. He is trying to do all the wrong things." From here things got rather ugly when Abhay Deol retorted by saying, "He’s right about me doing "all the wrong things". Aisha is the biggest proof of that. And yes I do "need help". Help not getting affected by people like him. He’s a waste of my time." You do have to have talent if you're going to be a star. But that talent doesn't necessarily have to be acting. I don't believe in luck. If you're brave, you'll get lucky. What's most important is to love what you do. Unfortunately, it's all about making money. So in today's world, it's better being a star. It's a tough industry. I've set out to make a particular kind of cinema and I have stuck to it. You have to make your own brand just like Salman Khan, Shah Rukh Khan and Aamir Khan have. At times, I think I should make adjustments. I am stubborn and am following the path I have chosen for myself. In life, you only learn from taking chances. I learnt a lot in my outing as a producer and it has opened many doors for me.